Have you ever wondered what role your name has played in your life? Is it just an identity or has it played any role in shaping your personality? Will Amitabh Bachchan be the same if he continued with his original name of Inquilaab Shrivastava? Numerology and Name Numerology as an alternative science has been around for more than 5000 years. However, due to the mysticism surrounding the science and the scare tactics used by some practitioners, it has not found wider acceptability among masses. Even today people tend to disbelieve the science and find it difficult to believe that Names influences a person’s character/personality. It is with this purpose of removing the mysticism, proving the effectiveness of Numerology science and bringing the benefits to the masses that 4 founders started NaamVidya. The approach adopted by them is that the proof of the pudding is in its eating!! They allow all website visitors to do a free analysis of their own names and others to see for themselves how their names have had an impact on their personality. They also allow them to take a detailed analysis of how their full name and date of birth to give an indication if their names are balanced with their date of birth. You can read a short write up about the Importance of Names. The founders explain that this science is also very useful for new business owners looking for a new name for their businesses. By selecting a balanced name with the right vibration for success, they can start their entrepreneurship journey on a positive note. Their initial traction has been excellent. Their website has seen more than 50,000 full name reports being requested by visitors. The organic traffic on their website is growing at 40% month on month with bounce rate (an indicator of how engaging the content is) in low single digits. 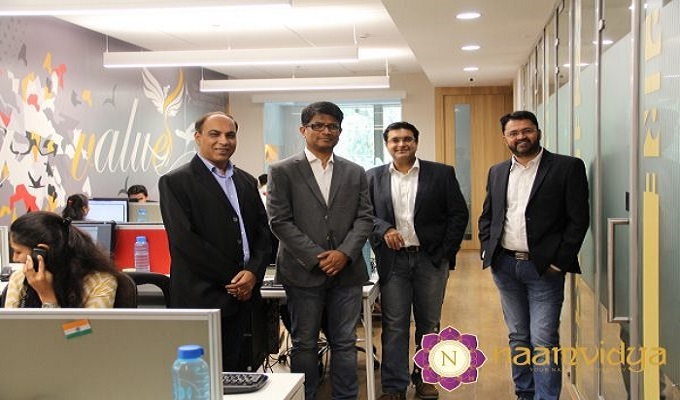 The founders at NaamVidya come from a varied background having a deep interest in Numerology and also skills in technology and marketing helping them present this ancient science in a very modern and simple way.